Inspirational podcast about intentional motherhood and mindful parenting. This week, I was on the Our Muslim Homeschool Facebook and Instagram page answering your questions LIVE! In this LIVE broadcast, I also made a BIG ANNOUNCEMENT. If you don’t want to spoil the suprise, stop scrolling and watch the video now! Firstly, these LIVE weekly shows have been given a new name, “Raising Mums”. I chose this name as it reflected my ambition for this show…. A live weekly broadcast that inspires mums to live with purpose and intention, to raise their children mindfully, and empowers mothers everywhere to own their lives and to thrive doing it! 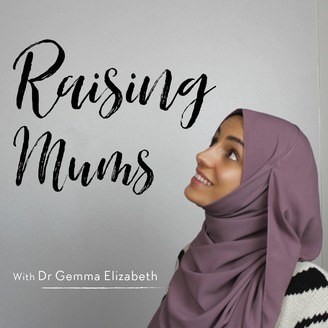 And even BIGGER NEWS!….you can now listen to Raising Mums as a podcast! Yes, that’s right! Wherever you listen to your podcasts, you can head over there now, and Subscribe to Raising Mums! You can listen to these broadcasts whilst you’re commuting to work, cleaning the house, working out, or driving the car! The great thing about podcasts, is that you can “grow on the go”, and learning whilst doing other things! Perfect for busy mums…right?!?! 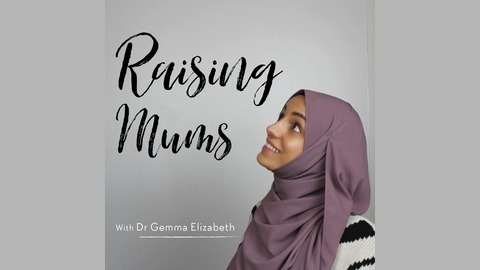 Please had over to iTunes, Apple podcasts and Spotify, and leave a review for “Raising Mums” so other mums, like you, can find it! And as always, you can watch the replay of this LIVE broadcast on Youtube. Just click on the link below! If you missed last week’s video: Run your home like a BOSS! – Part 2 just CLICK HERE! This episode marks the end of Season 1 of Raising Mums. It’s been an incredible few months, and I’m so grateful for all the lessons I’ve learnt during this time and the people I’ve come to know through it. I’ve got some great content planned for you! I hope I’ll see you then! The post LIVE Q&As + Big Announcement! appeared first on Muslim Homeschooling Resources.